This image was taken at Hyatt Regency Huntington Beach before the Persian wedding ceremony started. I took this picture from the view of where the couple sits during the Sofreh the Persian vow exchange ceremony. Although this was an Asian Fusion wedding they did have the traditional Aged table. 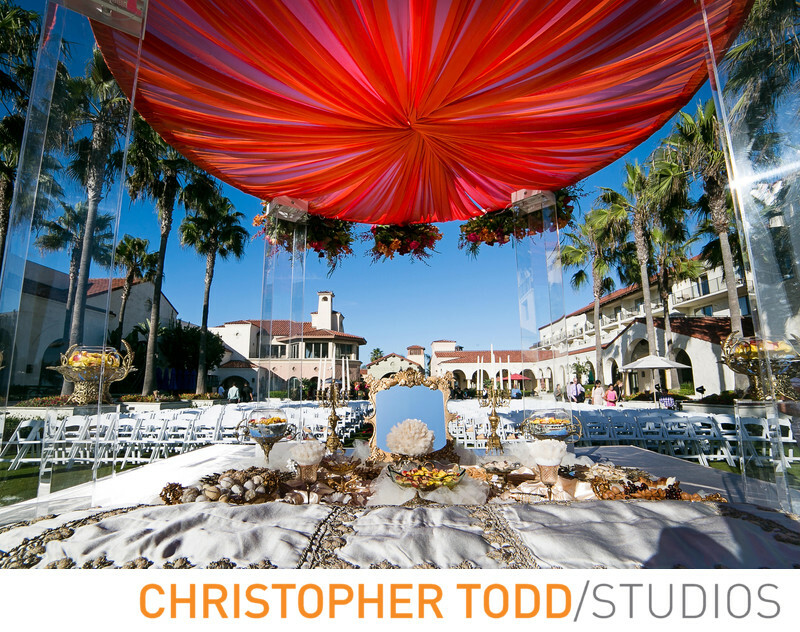 The red canopy added a Southeast Asian flare and the white table cloth was traditional to the Persian culture. The ceremony took place in the Lighthouse Courtyard the largest site at Hyatt Huntington Beach for outdoor weddings. Location: 21500 Pacific Coast Hwy, Huntington Beach, CA 92648 .